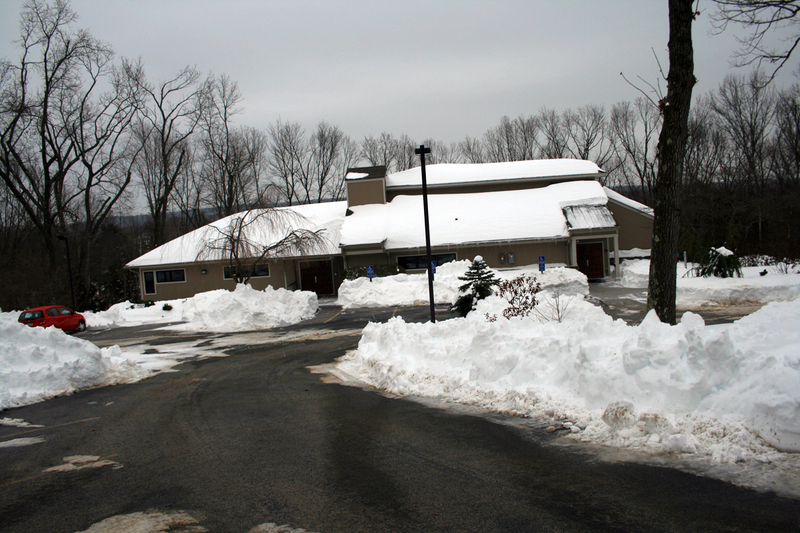 The February 8-9th winter storm dumped up to 36″ on our Meetinghouse. 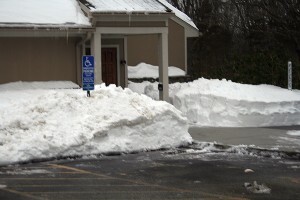 By Sunday afternoon, the parking lot was cleared, paths opened and snow removed above entry ways. 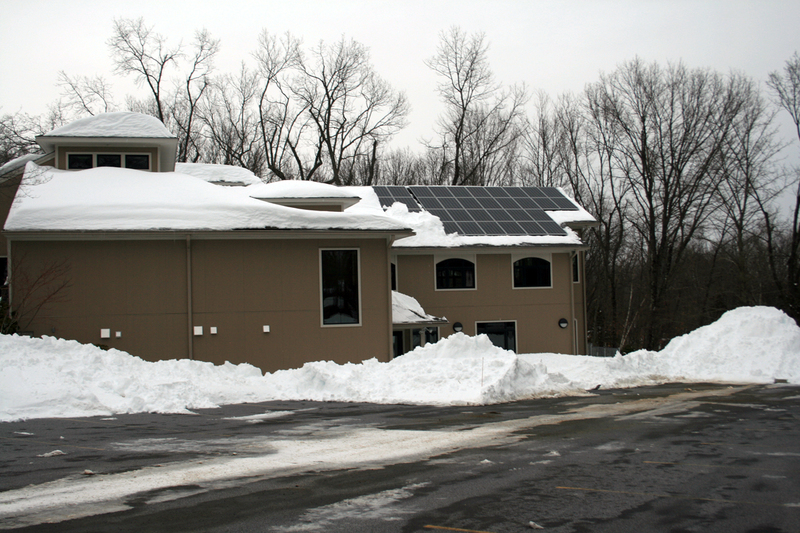 Even the new solar panels were clear and generating electricity. The church sign is almost visible from the street. Entry way is cleared. 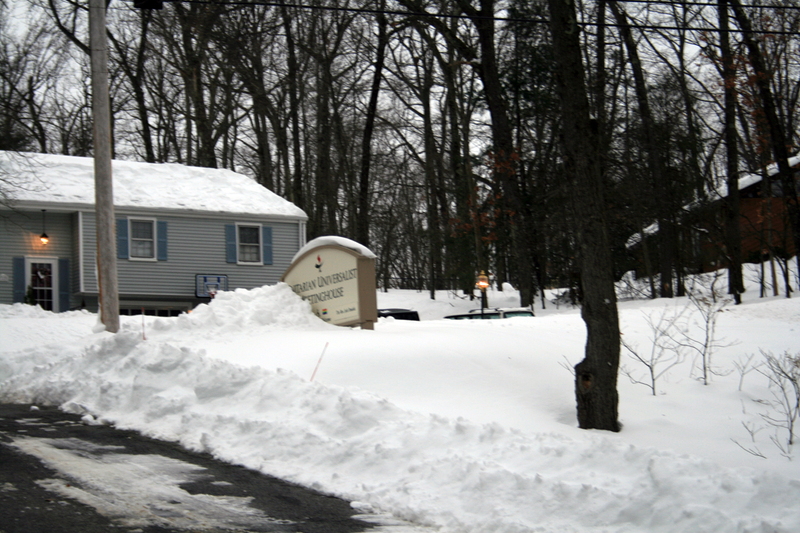 Look at the depth of snow. Our new solar panels self cleared.